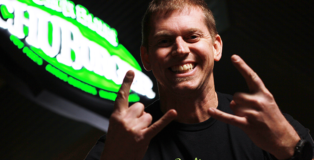 Kara and Kelissa are new to Denver in 2014. They’re a web developer and head brewer, respectively, and love BEER, snowboarding, travel, music festivals, and Jake the dog. 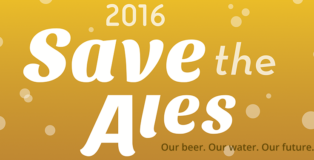 They feel like the luckiest duo in the world to call the City of Beer home. Every seat was full on Friday morning’s Denver-bound Frontier flight out of Nashville—most passengers consisting of glassy-eyed or dozing beer industry professionals (likely on the 3rd or 4th day of wearing their embroidered brewery work shirts). 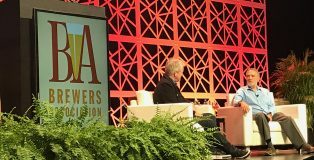 This year’s Craft Brewers Conference, spanned the better part of last week from Monday through Thursday evening’s World Beer Cup awards ceremony. For many, this meant five full nights of beer-soaked, deep fried, Nashville-themed debauchery reuniting industry friends from all over the world. 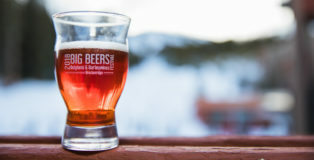 Take Great American Beer Festival, skim the layer of cream off the top, and you get the Big Beers, Belgians, and Barleywines festival, held annually the first weekend in January in Breckenridge, Colorado. 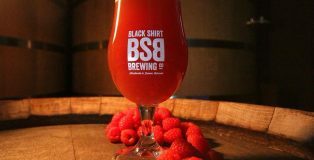 The “cream” metaphor is literal; by far, only the deepest, richest, dankest or most prolific beers make the cut as offerings from the breweries involved. This festival is truly not for the faint of heart. Sling back a few too many mini-pours consisting predominantly of 7% ABV and above beers, factor in the elevation (over 9000 feet at the venue location), account for a probable lack of sleep from event-hopping all weekend, and you’re likely in for one wickedly miserable end-of-weekend hangover. But this past weekend was the 18th consecutive Big Beers fest, proving that a wide range of beer lovers, both industry members and consumers alike, love coming back to challenge their palettes (and drinking prowess) time and time again. 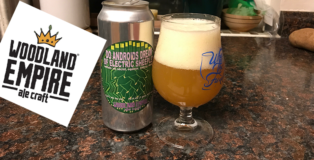 Woodland Empire Ale Craft | Do Androids Dream of Electric Sheeple? Denver Musician and Producer GRiZ Creates Beer with Great Divide Brewing Co.
After partnering with Colorado’s Native Roots dispensary chain to create an award-winning marijuana strain, it’s no surprise Colorado musician GRiZ recently collaborated with Great Divide Brewing Company on another popular libation – craft beer. 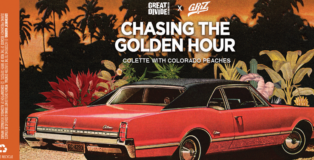 On Wednesday Aug 30, GRiZ and Great Divide bring you Chasing the Golden Hour, a Colette Farmhouse Ale base that’s been layered with copious amounts of fresh Colorado peaches. Chasing The Golden Hour is also the title of GRiZ’s latest mixtape album release. 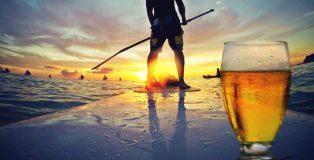 Both the music and beer are meant to capture the carefree good vibes during a sunset on a perfect summer evening. 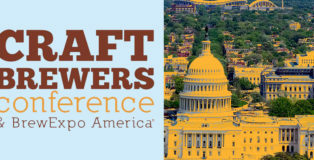 It’s finally time for the Craft Brewers Conference! This year’s summit convenes in Washington, D.C. where it was last seen in 2013. We’ve all seen the landscape change a lot in four years, so if your last jaunt through D.C. was in 2013 or even earlier you’re gonna have some new ground to cover! For the latest lay of the land, check out the Brewers Association’s guide to Exploring the D.C. Beer Scene. On a trip to Oregon back in June 2016 we were able to visit so many breweries with really amazingly consistent quality! Most of our time was spent in Portland, but we capped off our trip with a day in Hood River on a coffee barista’s recommendation. The one hour drive thru the Cascade Mountains is absolutely worth it for the views and beer. We spent the day watching kite sailing under a blue sky and visited pFriem Family Brewers for lunch. pFriem has specialized in lots of Belgians and sour varietals since opening in 2012 but offers a very eclectic and well-executed menu as a whole, including tasty pub-style food! Oh, and it’s pronounced “FREE-um,” as a waitress helpfully clarified for us. 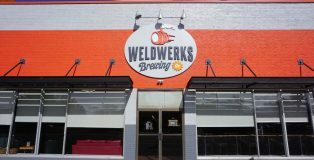 Back in January we chatted for a bit with Neil Fisher and Colin Jones of WeldWerks Brewing Company at the Big Beers, Belgians and Barleywines festival in Breckenridge, Colorado. The guys were nice enough to step away from their crowded booth and give us a thorough walkthrough of their upcoming 2017 plans, dropping so much exciting news and knowledge on us that we decided to pluck this interview out and do a feature. Oskar Blues Brewery, founded in 1997 in Lyons, CO, has long served as a pioneer in Colorado craft beer. Since canning Dale’s Pale Ale in 2002, the brand has seen a meteoric rise, and now distributes its beer in all 50 states, with additional production brewery locations in Austin, TX, Brevard, NC and Longmont, CO. Oskar Blues made headlines in recent years for major brewery buyouts including Perrin Brewing out of Grand Rapids, MI in 2015 and most recently, Cigar City Brewing out of Tampa, FL just last year. Major Colorado mountain resorts have been ramping up since serious snow showers started around the week of Thanksgiving, and now Metereologists at OpenSnow.com are predicting snow nearly every day for the first half of December. Ah, yes, the Colorado Rockies are finally getting a good base going after quite a warm fall, and our boards have been tuned, waxed and ready to go for months now. 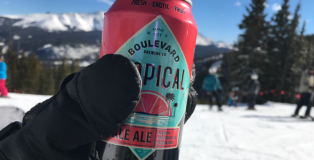 For snowboarders and skiers that are ready to hit the slopes: No matter how early in the morning you’re running out the door to beat I-70 traffic, don’t forget a reliable, refreshing 6er to round out your day! 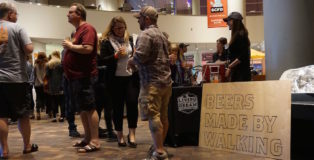 Beers Made By Walking’s sixth go-around did not disappoint attendees at the Denver Nature and Science museum this past Tuesday, Oct. 4. Attendees rolled in at 5:30 p.m. sharp to fill their tasting glasses alongside earthly relics like a sparkling gemstone exhibit and a huge whale skeleton suspended from the rafters. The setting was certainly fitting for the nature theme of the festival, and breweries displayed whimsical adjuncts like pine cones and berries on their respective tables. I felt a buzz just thinking about how the event’s proceeds would be directly benefitting this museum we were standing in. 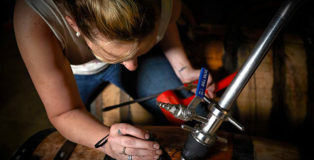 Despite her recent announcement that she’ll be leaving Wynkoop, rest assured, “Bess’s Barrel-Aged Beer Babies” will live on! 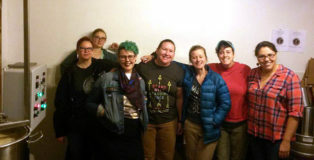 Back in June, PorchDrinking spoke with brewer Bess Dougherty, recording a PorchCast episode in her “happy place,” Wynkoop Brewing Company’s barrel room. Little did we know a mere 12 hours later Bess and the rest of the Wynkoop family would learn that the brewery would begin scaling back operations to eliminate external distribution AND Bess would soon decide to leave her brewing position at Wynkoop for another opportunity. In light of the latest happenings, we sat down to talk women and beer with her and hear about the latest landmarks in her career path. As we approach Julia Herz at the CraftBeer.com booth at the Vail Big Beers fest, she’s standing with Executive Chef Adam Dulye, purveying toffee and craft beer samples. 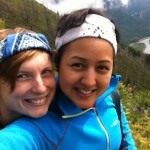 Enthusiastically, she encourages us to give the pairing a try and we do so willingly. 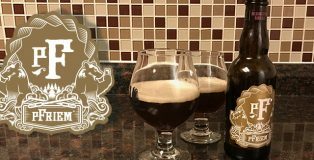 The confection is a 70% dark chocolate with almonds, toffee and a sweetness level calculated to complement the malt bill of the beer, Baere Brewing Company’s Big Hoppy Brown. It’s a pairing tastier than we even imagined — the delicious hop character of the brown ale comes forward as the rich, malty, nutty sweetness takes a backseat. As we wash down the last of the toffee, we chat with Julia on her long history in the brewing community. 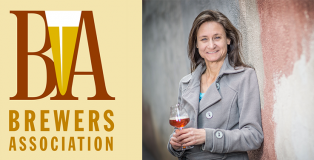 Beer and food pairing is becoming an ever more-relevant skill, and we’ve seen an increasing number of culinary programs now require finely-tuned beer pairing skills just as they do with wine. 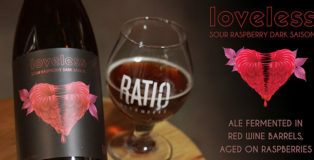 Outside professional realms, beer pairing skills will help you put a damn tasty and impressive meal on the table, and it’s hard to surpass that satisfaction. 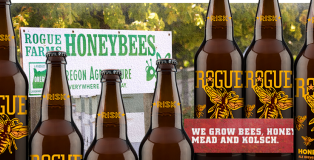 So why shouldn’t we possess the same care and consideration when we pair a beer with experience? 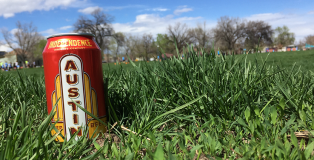 We’re not here to tell you that beer and outdoor activities go great together. That’s already ridiculously obvious. 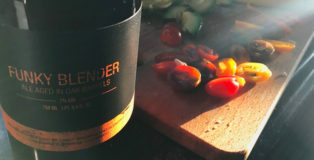 But carefully selecting your beer by factoring in the day’s physical activities can also be a refined skill, similar to choosing your dish’s boozy soulmate.